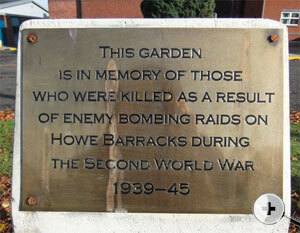 The memorial, commemorates those killed during WW2 in the bombing of Howe Barracks on 1st June 1942. A memorial garden is set around a brick paved area with two benches on either side, with the Memorial standing in the paved area. 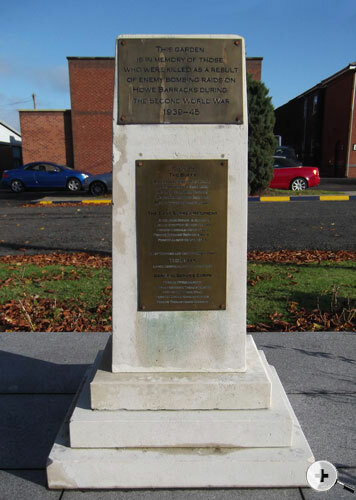 Originally sited at Howe Barracks, upon its closure in 2014 the memorial was removed and re-sited at Leros Barracks Canterbury, the Regimental Headquarters of the Princess of Wales's Royal Regiment. 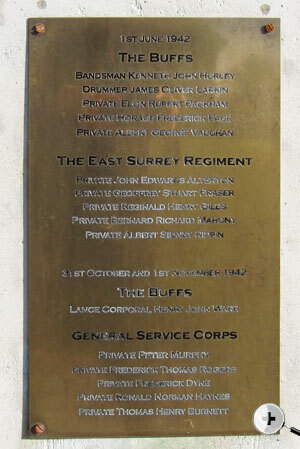 The Memorial is dedicated to The Buffs, The East Surrey Regiment and General Service Corps who lost their lives during bombing raids on 1st June 1942, and 31st October and 1st November 1942.